Many hospitals face a variety of challenges with their receiving processes. Even though each hospital’s receiving team works very hard to process incoming shipments, there’s an ongoing issue: the big gaps in service caused by manual processes and dissimilar systems. What do we mean? Well, when your facility faces these gaps, your receiving team spends a great deal of extra time—time they don’t have to spare—offloading, staging, tracking, and delivering incoming shipments. In many hospitals, internal recipients are unable to see packages that have been received but haven’t been yet delivered. Lastly, facilities are often unable to generate an electronic dock to destination record of the delivery process. 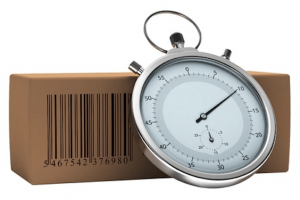 Incoming shipments aren’t processed quickly enough. Naturally, your receiving team is working as fast as it can to process your facility’s incoming shipments. However, the combination of high incoming package volume and paper-based manual processes makes for a much longer time period dedicated to jobs such as off-loading, receiving, matching to POs, organizing and delivering shipments that arrive at your facility, not to mention the extra time dedicated to tracking down missing items. There are many different receiving and staging processes taking place in the same loading dock. When you have a different procedure for every category of product or supply for every carrier, and for whether the items you received were stock or non-stock, it’s going to take a lot longer to process your deliveries. No ERP/MMIS system integration with receiving and delivery processes. There are several different factors that contribute to the gap between the ERP/MMIS system and the processing of your deliveries. For one, when your system doesn’t support mobile devices, you’re forced to rely upon paper to keep track of everything. You print out paper slips that have to follow your shipment through every stage of the delivery process, which has many different opportunities to lose that valuable slip of paper. Also, it’s tricky to manage items that are listed on purchase orders but haven’t yet been received, meaning that the PO is partially complete. This could lead to items getting misplaced as they wait for the remainder of the order. Packages without purchase orders are challenging. Anytime a package shows up without a PO number, or a non-PO shipment is delivered, it’s tough for your team to process it. Determining where the package needs to be delivered without a PO is challenging, as is finding out if there’s a incomplete PO with the package listed on it. Your receiving team could waste hours researching unmarked shipments in an attempt to discover to whom the package belongs, and in what department it should be delivered. As a package moves from the receiver to the courier to the recipient, there are a lot of handoffs, also known as prime opportunities to misplace the paperwork that needs to stick with the package every step of the way AND ultimately make it all the way back to the receiving department. It’s tough to track paperwork that got dropped en route to the recipient. There’s a complete lack of visibility. Unlike its digital counterpart, a paper-based system has no method for internal users to see where their shipment might be within the facility. They don’t know if the package has been staged or if it’s out for delivery. They see that the carrier has dropped the package with your receiving department, but they can’t see where it is in the process. It’s really hard to track and record shipments and verify delivery without an electronic record. You can’t improve your receiving department’s efficiency without the necessary information about the length of time every package takes at each stage of the process. So, what can your hospital do to improve upon its dock-to-delivery processes? Install an automated tracking system. Not only will you improve your record keeping, but you can easily track your packages from the moment they’re received all the way to the moment the recipient signs for it. Offer a window into your chain of delivery. If you’ve ever been on the receiving end of an angry “Where’s my package? ?” call, you understand the appeal of this feature. With a system like VueturaTrac™, you have a precise chain-of-events that can show exactly where the package was at any point in the day. Not only will it make your team look like they know what they’re doing, it also lends the whole department an air of credibility when they’re able to prove the package WAS left exactly where you said it was. Track the time your team spends on the whole delivery process. Are you sure that your processes are as efficient as they can be? If you’re like most hospitals, that answer is probably no. Having the ability to see where the lag is occurring will be a big help as you tighten and streamline your department’s processes. Your current ERP/MMIS system and automated tracking system can work together to manage POs. Take a moment and think about how much more convenient it would be if your automated tracking system and your ERP/MMIS could coordinate their efforts, making it a breeze to determine whether a PO is completely fulfilled. Instead of shuffling through piles of paper, you can find the answers you seek with a few mouse clicks. Integrate smart mobile technology at every stage of your process. Smart mobile technology makes so many aspects of our lives more convenient— why not incorporate it into your delivery processes? The devices are relatively easy to incorporate into your system, and the training is simple, particularly as the technology becomes more intuitive all the time. It’s much faster and more accurate to scan a package and continue with the delivery than it is to write out a long series of unrelated numbers at every stage of the process. Utilize customized labels to stop the hard-copy paperwork madness. Papers get lost. And when that paper is the only source of information about a package you received at your facility, that’s a big problem. A specially customized label, or “license plate” will allow you to create a detailed label or “routing tag” that you can stick to the package, ensuring that the information needed to process it will stay attached throughout the chain of delivery. No more mystery packages! 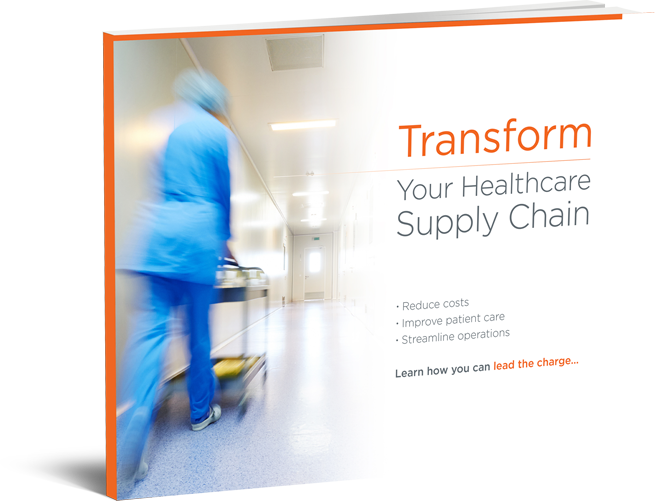 Are you ready to take a big step toward modernizing your hospital’s receiving department? We’re here to help. Contact us for a free demo today!